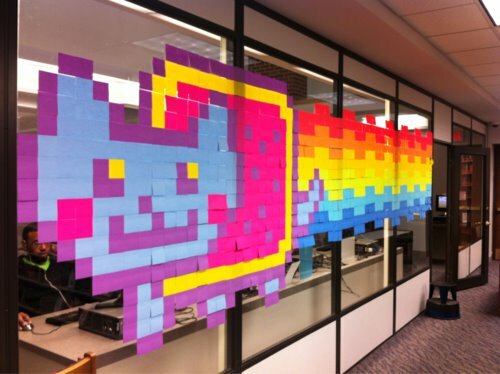 Nyan sticky-note Time~. I wanna make one. :3. Wallpaper and background images in the Nyan Cat club tagged: nyan poptart cat lol rainbow poptarts nyan cat note sticky note.